Everyone's favorite claymation man and dog combo is getting the episodic adventure game treatment courtesy of Telltale Games. 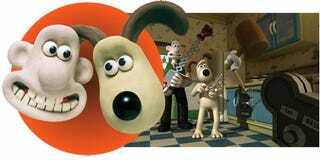 The company has just announced Wallace & Gromit's Grand Adventures, an adventure series in the same vein as Sam and Max, ultilizing graphics that simulate the claymation look and feel of the beloved series. "We're certainly going for the clay look with this," Telltale Games CEO Dan Connors told The Associated Press. "Clay presents a challenge if you really get into the detail of it. For example, adding fingerprints in a medium where there aren't any is one of the discussions of how far we should go with the game's detail."